Happy Halloween everyone! Hope you're having a great day :) Since it's Halloween, we couldn't just have any ordinary Beauty Broadcast Live... it had to be a Halloween party! Click here to watch. I was so excited to dress up, and it was so much fun sharing the pictures you posted on the Beauty Broadcast Facebook page! There were some really funny and creative costumes! Late last week I decided I wanted to be a cat for the live show, so while at Target on Saturday, my pal Kalee and I found the "Adult Kitty Cat" costume- which consisted of ears, a bow tie, and a tail. 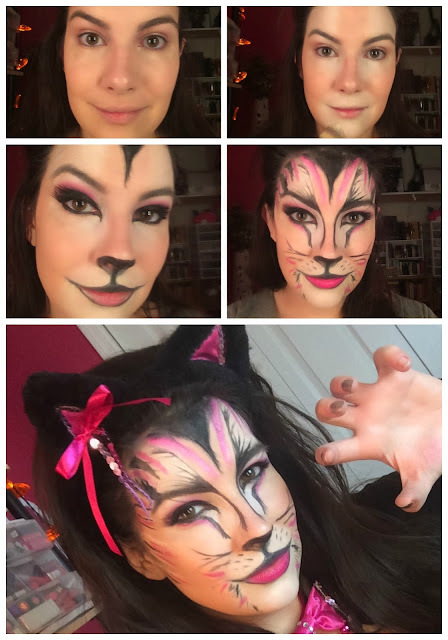 It all had a pink sparkly theme to it, so I knew it was meant to be :) The next step was figuring out how I'd do cat makeup! 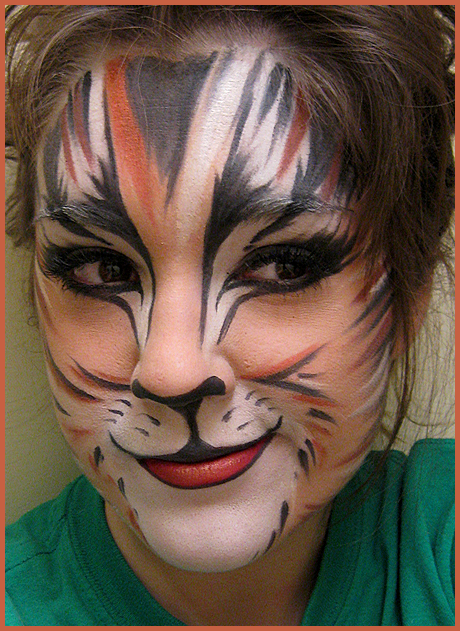 I saw this picture in a Google image search on "cat makeup". I believe this link will take you to the original source. I love this makeup! My plan was to use this look as my guide, and where the brown tones were used on this face, I decided to use pink to tie my whole look together. 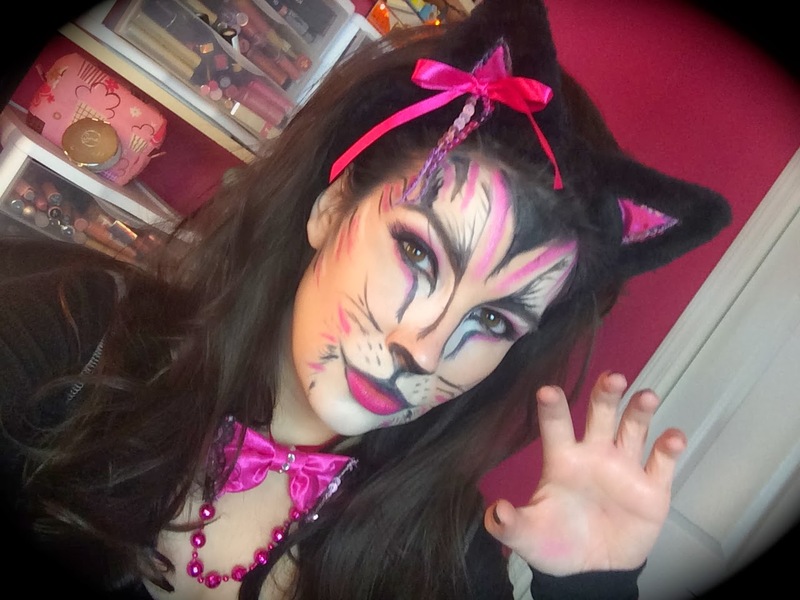 Also, a common theme that I noticed with all kinds of "cat makeup" looks was that they had black on the bottom of the nose, white surrounding the mouth, and the rest of the face is pretty much fair game for whatever designs you want to do. This little video shows the process in a nutshell! 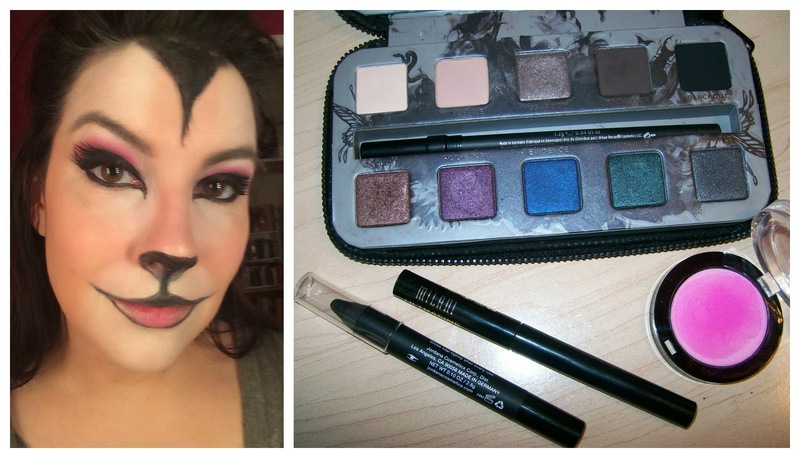 But if you want some more details on the products I used, here we go! 1. 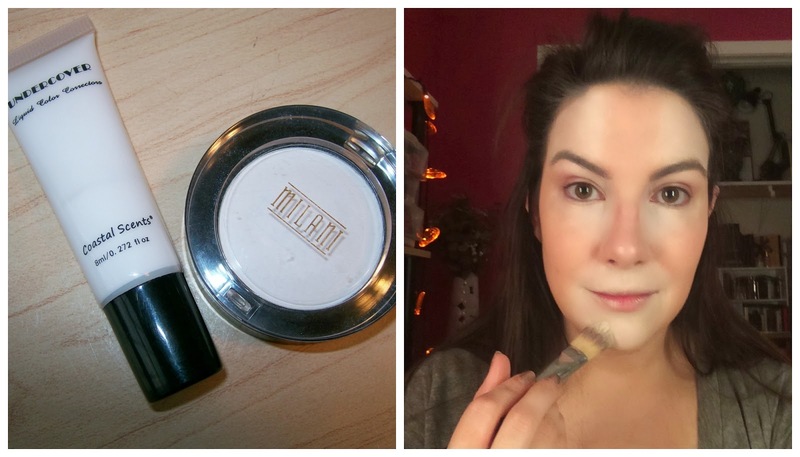 White Stuff: After applying foundation, I used a white face paint-type product that came from a set of color correctors from Coastal Scents. Unfortunately, those are no longer available on the website, but any white makeup will do. I applied it with a foundation brush on my temples, on the sides of my nose/under my eyes, and around my mouth/chin. To set that and make it appear more white, I used a matte white eyeshadow from Milani called White Lie. 2. Black Stuff: Next I started on some of the black facial details, using a combination of black face paint and black cream eyeliner. 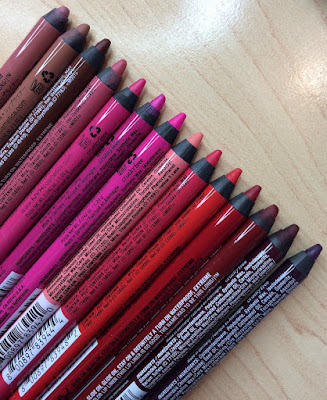 I used the cream eyeliner with an angled brush in any areas that needed a more precise line, and then used the paint when I needed color over a larger area. 3. The Eyes: I decided to jump to eyes at this point, since some of the other designs would end up overlapping. I used my Jordana 12 hr. Made to Last Eyeshadow Stick in Stay-On Black all over my lids and into my crease, and then I set it with the matte black shadow from the Urban Decay Smoked palette. . I also used a black pencil in my waterline. 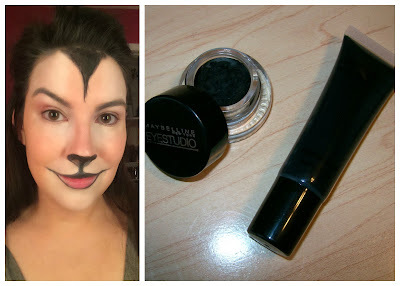 Then I used my Milani Ultrafine Liquid Eyeliner in Black Vinyl to extend the inner corner of the eye downward, and I also created a lot of little cat eye "flicks" on the outer part of the eye. I also dusted a matte hot pink eyeshadow from Milani called Shocking Pink just above my crease. I was planning to do some false eyelashes with this look, but it really just covered up the details on the outer corner of the eye, so I decided not to. 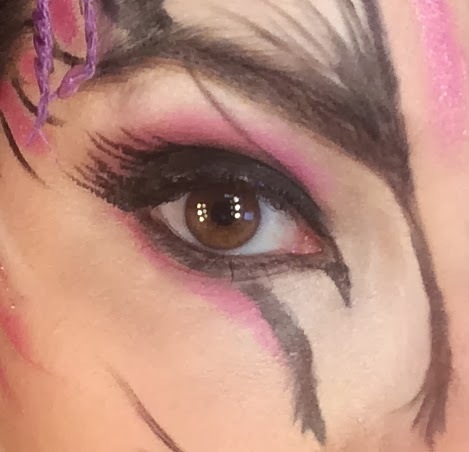 All of those wings practically look like false lashes anyway! 4. Cat Markings: I pretty much freestyled the rest of the face, just making sure to get the look of a few whiskers around the upper lip area. One thing that helped me with some of the main lines on the face was first lightly drawing them in with black eyeshadow and an angled brush- and then topping them off with cream liner or face paint. 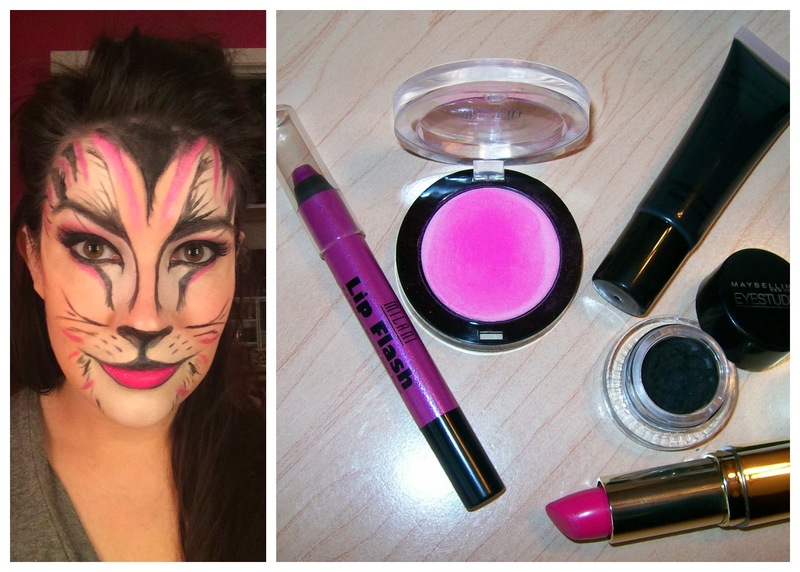 For any pink markings, I used Milani Lip Flash in the shade In a Flash, and then set it with the matte pink shadow. On my lower lip I'm wearing Milani Color Statement lipstick in Rose Hip (the top lip is black). So there's a final little step-by-step! I didn't shoot a full video on this because I honestly wasn't sure how it was going to turn out! I've never done a look remotely similar to this before, but I'm really happy with the way it came together! 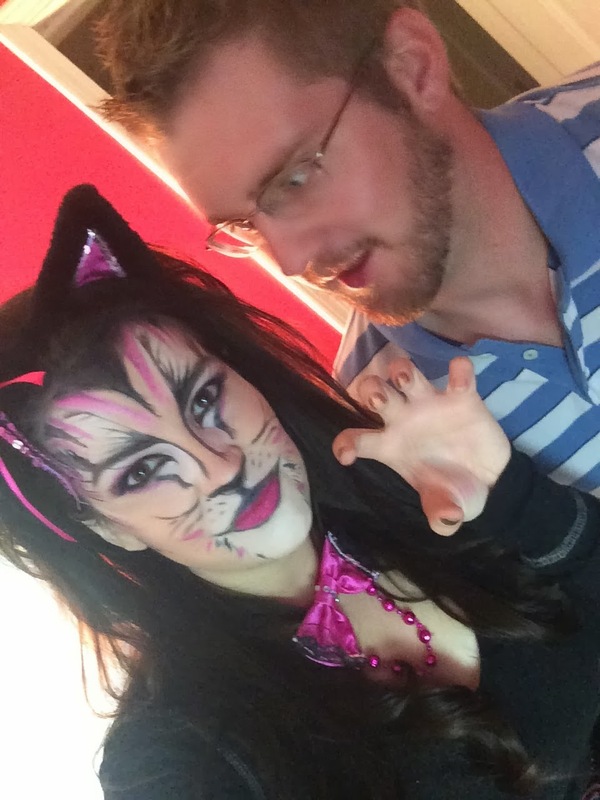 When Tyler got up, he poked his head in the makeup room and actually jumped when he saw me! We re-created that moment in this pic- LOL! Cupcake continues to be scared of me!! She really wasn't too bad this morning- until I put those ears on. Then she didn't even want me to pick her up! I think she didn't want to be upstaged by all the glam. Don't worry Cupcake, nobody can ever top your cuteness!! :) Thanks for checking out this post, and I hope you have a safe and happy Halloween!! I feel the need to transform Tyler into something spooky when he gets home from work. My cat outfit is very comfortable (stretch shirt, leggings). I could get used to this! I am being a cat too!! I got a black kitten a few months ago and am being her for halloween! I made paws out of those cheap gloves form Wal Mart and cut up false nails to make little white claws and glued those onto the gloves! So cute. 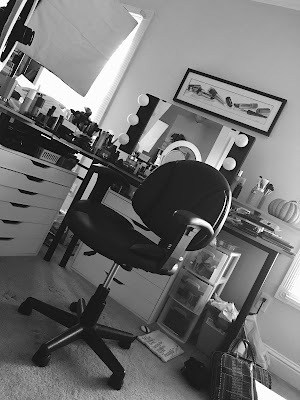 Love your makeup. OMG I love the costume! So cute! It was so amusing watching BBlive with you as a cat! Great costume! So awesome!! It's really cute with all the pink. And you made it look totally natural. Or catish-natural! Well done!! Purrfect job!! I'm reminded of the musical "Cats"! You did and awesome job! WOW I loved your look, it is great and looks fantastic on you! 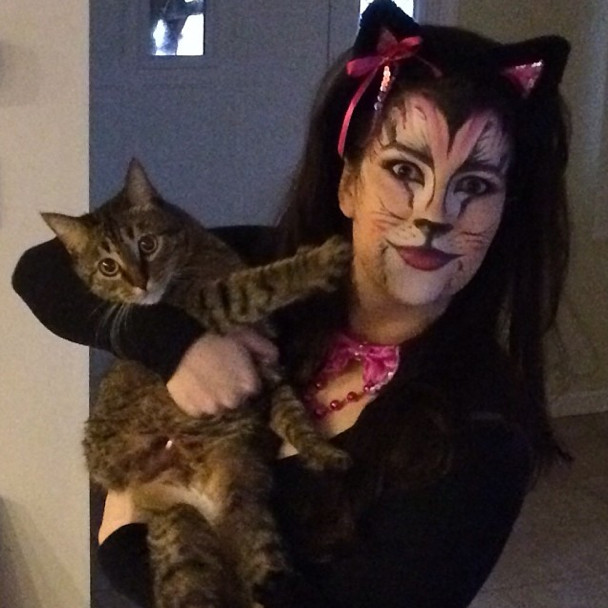 I did cat makeup too! A simple version tho...just to hand out candy at my mom's house. Check it out on my blog! Thanks very much, its very nice article, this was the one I am looking for. Why don't you read more about the toxinext ? Looking for the best web design and digital marketing solutions representing your business goals effectively? Get customized solutions at Nevrless.